America MUST BE EXPOSED to what’s going on in our court system and government. When CORRUPT or dis-honorable judges commit crimes and are exposed the first thing at their disposal is the police or marshals. They’re suppose to have their own protection unit and to them THEY LIE, they twist the facts, make a mountain out of a mo hill to get action. Its like turning your junkyard dog against someone. FACT, dishonest judges will tell police YOU (the whistle-blower) are the criminal, the problem and the terrorist. When in reality THEY ARE THE MONSTERS, criminals and con-artists. When police act on false allegations (judges are immune to prosecution) so why not lie? This is what needs to change…. 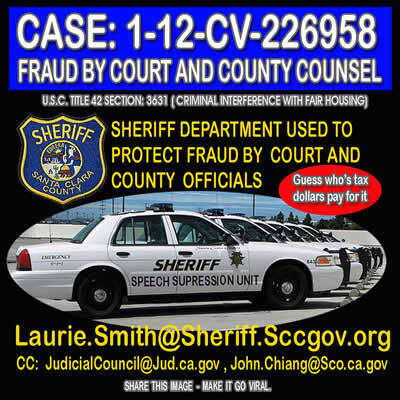 One of the first scams a dishonorable judge pulls is to lie to police, to seal records, to ask other judges and agencies to help them. BUT, rarely do they tell the whole story and truth about what crimes they’ve in fact committed. Treason is one of them. When FACTS are brought fourth about a judge, the judge will call them PROPAGANDA when the truth is they have been EXPOSED. Abuse of power is becoming more and more common among government. lease violations. Arlene Peterson (who should be protecting Heidi) did nothing. ILLEGALLY EVICTED FROM MARKHAM PLAZA APARTMENTS BY JUDGE SOCRATES MANOUKIAN AND DEPUTY PUBLIC GUARDIAN: ARLENE PETERSON. NO LEASE VIOLATIONS. 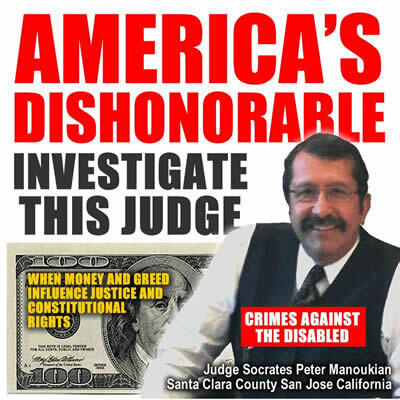 JUDGE SABOTAGING COURT CASES – RUINING LIVES! Here is Lee Pullen’s contact info.